In a bowl, take besan, rice flour, onions, salt, chilli powder, ajwain, jeera powder, and hing. Now add enough water to make a thick batter. Mix methi leaves in the batter. In a pan, heat oil for deep frying. When oil is heat enough, pour pakoda batter into the hot oil. Fry all pakodas until they get golden brown. Drain them. 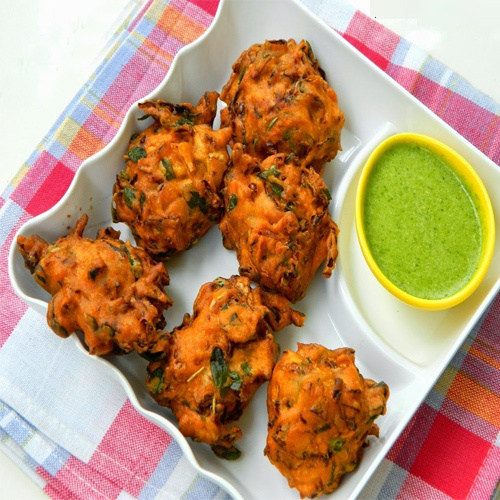 Serve methi pakoda hot with ketchup or green coriander chutney.